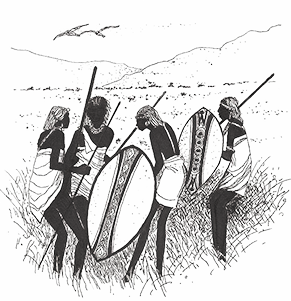 Le Nzoi aka The Bees originated sometimes in the early seventies assembled by the famous vocalist Edo Gang, who’s been in bands like Les Bantous De La Capitale and T.P.O.K. Jazz. 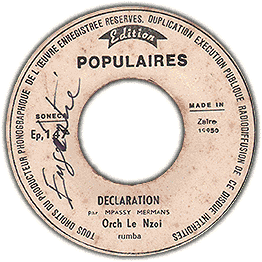 The Edition Populaire was a label owned by Franco, and this gem of a tune ‘Declaration’ was recorded on a mobile recording studio Franco used for all his sub-labels. Never discard a Congolese track after the first minute, it starts cooking mid-way. The Bees start to sting real hard here at 1:45! Departing from a call and response duet a killer guitar riff kics in and meets the sax solo half-way. This track can be looped throughout the day and night, it has everything you need!